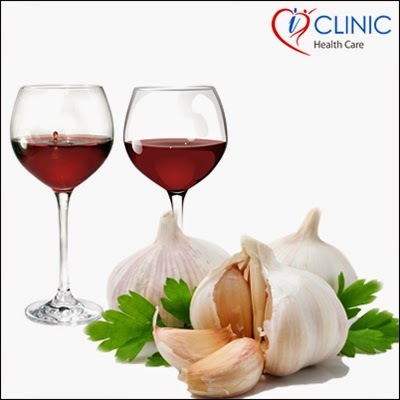 Cut the garlic cloves into quarter, clean the garlic and place it in a container. Pour ½ liter of red wine and recap the jar tightly. Keep it in a bright place for about 2 weeks. Shake it for few minutes so that all the elements get mixed well. After 2 weeks, take the contents of jar out and put them a glass bottle. Take one tablespoon thrice a day for a month.